To view individual photos or a slideshow, click below. All Photos ©2018 Nikki Vee. 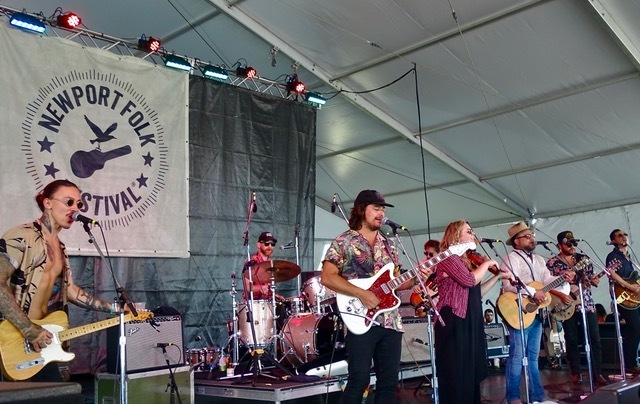 Folk Festival weekend has come and gone here in Newport, RI and in keeping with tradition, the festival offers an array of artists who continue to carry the torch for traditional folk music. But over recent years the Newport Folk Festival has evolved to include a mixture of modern and traditional folk, roots, and blues music while seeking to expand the scope of “folk.” The Folk Festival of today, while it does have its share of fantastic folk and Americana roots bands, also includes the sounds of soul, funk, and rock and roll. The crowd is younger and the torch has been passed. This festival has become so popular it has gained the reputation of a quick sell-out before the acts are even announced, up to nine months before the event. When I say “quick,” I mean in just a few short hours. So if you’re thinking about making the trip one of these years, keep your eyes peeled and your ears open around about November so you don’t miss the initial ticket sales. This year there were 78 bands, plus an open mic at the start of each of the three days. If I wrote about all of them you would be reading this until next year’s festival. So instead I’ll give you a rundown of my favorites from this year. I have a musical bias and it’s very real. I am a fan of alternative, funky, and soulful sounds. But my musical tastes are eclectic and I love live shows so I’m in my element at Newport. Festivals give us the special opportunity to check out a large number of bands we may never have known existed and I love a band that brings something for my eyes as well as my ears. Stage clothes, costumes, lighting, the deliberate presentation. This year’s festival wasn’t short of acts that can bring that package. They included St. Vincent, Lucius, Fantastic Negrito, Tank and the Bangas, Khruangbin, and Valerie June just to name a few. 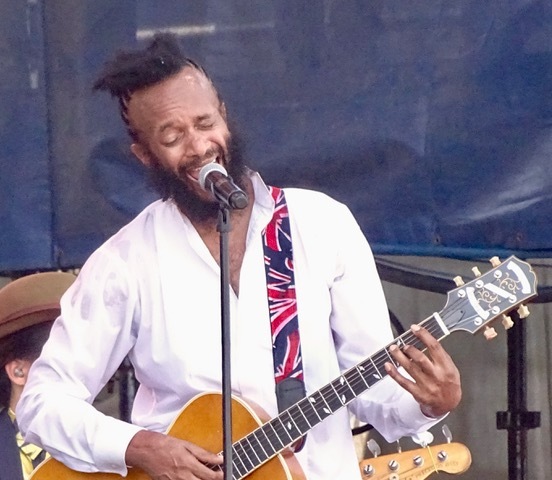 Fantastic Negrito brought his special blend of blues, neo-soul, and psychedelic rock to the main stage. His 2017 album The Last Days of Oakland made a fan of Bernie Sanders with its message about capitalism. His music could be the soundtrack for us all at a time when a powerful resistance movement is underway in this country. Google Negrito some time, he’s got an interesting story. 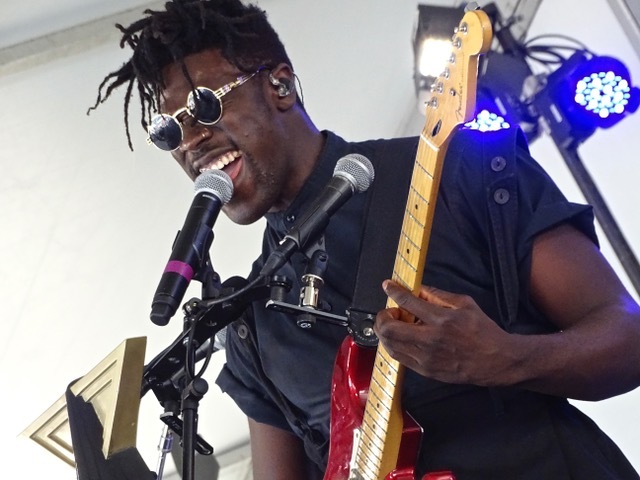 Moses Sumney was an act I thought I didn’t have time for but since I had been running back to the Quad stage for Glorietta, I had to pass Harbor stage where Moses had just begun his set. Things happen for a reason and I’m glad I made the stop because he brought something special to the festival with his Baroque Pop. I enjoyed his set so much I was late to the Quad. I still got there for the rocking Glorietta, the “supergroup” of folk which includes members of Deer Tick, Middle Brother, Delta Spirit, and Dawes. 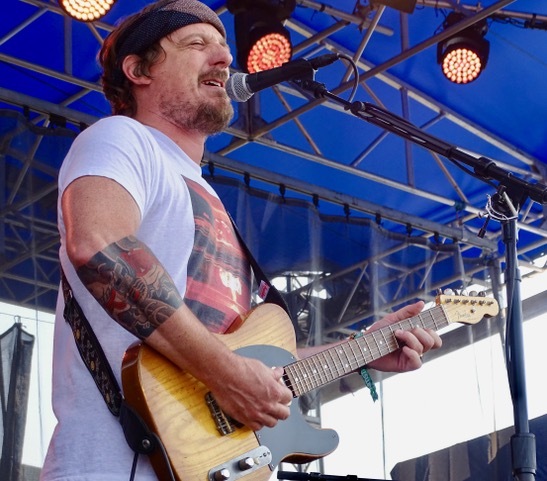 Believe it or not, I had never heard Sturgill Simpson despite his previous appearances at the festival. With 78 acts spread over three days sometimes you just can’t make it to every stage for every act but this year I made it a point to catch him on the main stage. He brought a raucous set of his unique brand of alternative country and roots rock. He performed to a very large enthusiastic crowd who knew how to make him feel welcome. The wonderfully talented Jason Isbell from Muscle Shoals Alabama and his wife, the lovely and talented Amanda Shires (who also made a solo appearance at this year’s festival), shared their magic with an enthusiastic crowd as they closed out the first day of the festival on the main stage. 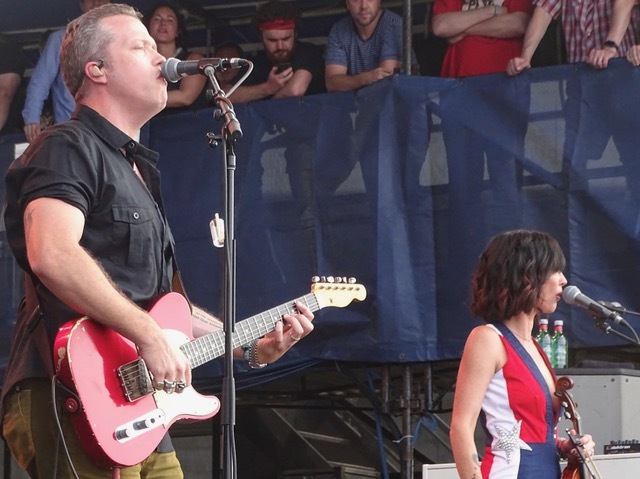 I’ve seen Isbell a few times and he’s always had the talent but it seems that since his recovery he has soared to new heights helped along by his marriage, the birth of a child, and his amazing band, the 400 Unit. Isbell just gets better and better as time goes on. 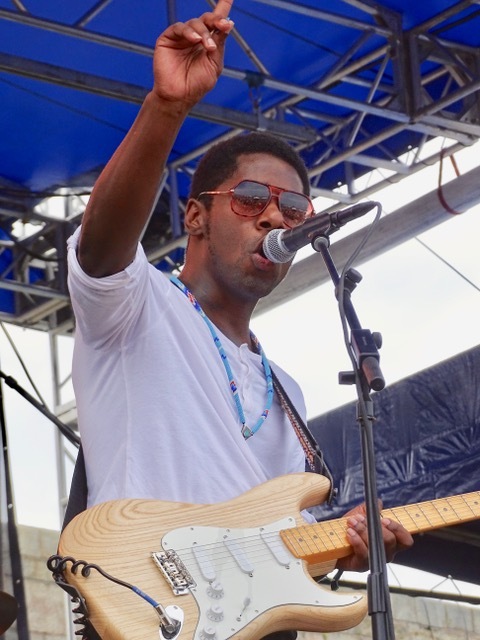 Day two brought American soul singer Curtis Harding to the main stage. His flavor of soul is a contemporary fusion of blues, gospel, psychedelia, R&B, and rock. It was a perfect stew to satisfy my craving. Tank and the Bangas hail from New Orleans and they brought a big show with high energy funky soul. If you aren’t moving at their show you must be in a coma. Hip-hop and spoken word are injected to make it even more interesting than it already is. 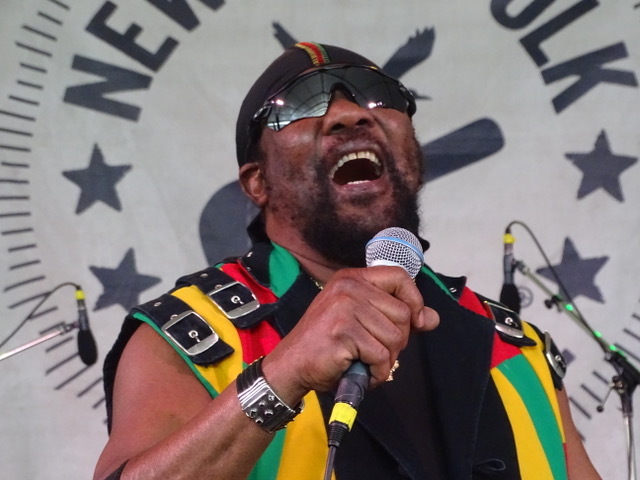 The band was formed in 2011 by Tarriona “Tank” Bell. They’re tight, organic, and they don’t play by your typical New Orleans jazz rules. 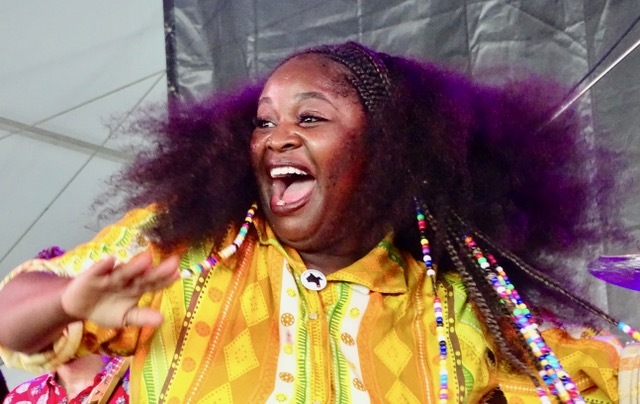 Bell reminds me of a female version of George Clinton. I loved the performance and it was hard to take my eyes off her. The audience was off the hook and just about brought that tent down. 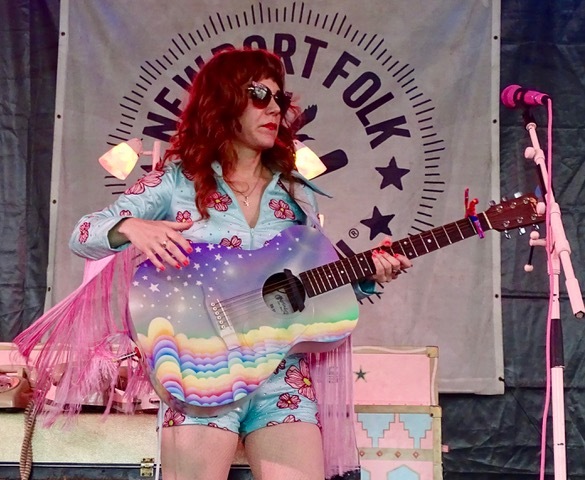 Jenny Lewis and Courtney Barnett both brought their own brand of indie rock to the stage in much different fashion. Courtney Barnett brought a hard-driving, energetic set of rock and roll and it’s no mystery that she is a crowd pleaser. She is a natural on stage. One-time actress Lewis (formerly of Rilo Kiley) adds folk and alt-country into her sound. Besides, she wore a wicked cool outfit and played a unicorn guitar. Day three began with the Preservation Hall Jazz Band and it was a great way to start the day. Their set put everyone in a great mood for the day to come. It was a day that also included reggae legends Toots and the Maytals, and Gary Clark Jr. so it leaves just enough room to tell you about two acts I’d never heard of or seen before: Jen Cloher, and a band called Khruangbin (say THAT three times fast.) Cloher plays straight-ahead folk rock and she does it hard. Courtney Barnett joined her on stage and the duo created quite a dynamic presence. The take no prisoners attitude of their performance was appreciated by the crowd at the Harbor stage. 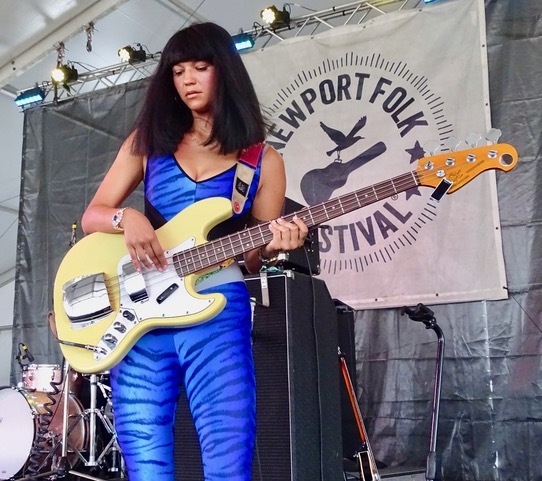 I saw myself in my past life when bassist Laura Lee of Khruangbin took the stage in all her costumed glory. The bass has always been my favorite instrument and when it’s played by a woman in calculated stage attire, well those are the ingredients that light my fire. This one was a real treat for me as this band is a psychedelic rock band which injects funk into their sound to make it extra special. Together, they are heavily influenced by the music of the Middle East and Thailand and you could say their style is instrumental-soulful-psychedelic funk. But I won’t put a label on it because this band enjoys challenging conventional genres. The day and weekend came to a close with Jon Batiste, who performed with the Dap-Kings. The assembled group led a rendition of “A Change Is Gonna Come,” for the finale of the festival. Many of the artists who performed over the weekend joined Batiste on stage including Nicole Atkins, Preservation Hall Band, Brandi Carlisle, Hiss Golden Messenger, and there was a surprise appearance by Leon Bridges. When Mavis Staples arrived, the crowd of musicians on stage parted the way and made room for the Queen and a blistering civil rights-themed set ensued. Often, fans sour at an artist’s political commentary during a show but this time it was deemed necessary and was welcomed by the crowd. As the sun set on the hot and humid weekend it was apparent that everyone had forgotten about the physical discomfort of the weather and had joined together for a weekend of unity and love.